The Malaysian leisure and gaming company Genting began work in 2015 on the Resorts World Las Vegas complex, on the site of the city's famous Stardust casino, which was demolished amid great fanfare in 2007. Rick Velotta, gaming and tourism reporter for the Las Vegas Review-Journal, said Genting have said the new resort will have a "modern Chinese" theme. "Initially the company described more of an ancient Chinese theme with a Great Wall of China replica and a Forbidden City, but they've now dismissed that in favor of buildings that seem more representative of Shanghai than the Great Wall," Mr. Velotta told Sputnik. "A rendering I've seen has a giant globe-shaped object that looks like a giant lantern near the top of onoe of the towers. They also abandoned the idea of having a panda enclosure on site in deference to animal rights activists," Mr. Velotta told Sputnik. "Genting hopes to attract a large number of domestic customers of Asian descent and they do hope to draw international customers from Asia with key operations in Malaysia and the Philippines. In addition to Asian customers favoring Macau, many look to Singapore (where Genting has a property) and the Philippines. But Macau is a huge draw because its major emphasis is on gambling and it recently began expanding to a model that looks more like Las Vegas with themed hotels and robust entertainment and retail properties," Mr. Velotta told Sputnik. The site was originally earmarked for the Echelon Place hotel complex but the owners, Boyd Gaming, pulled the plug on construction in August 2008 in the middle of the recession which hit the US as a result of the sub-prime mortgage crisis. Boyd sold the site, which is at the northern end of the famous Strip, to Genting and construction is now under way with plans to open in 2020. "The road back from the recession was long and hard and many economists say it still hasn't fully recovered, although most indicators returned to pre-recession levels by 2012 to 2014," Mr. Velotta told Sputnik. "The first from-the-ground-up hotel and casino project to open in more than 10 years came on line in late 2016 (the Lucky Dragon) but closed and went into bankruptcy protection earlier this year. But most locals regard the projects underway indicate the corner has been turned and business is once again booming," Mr. Velotta told Sputnik. The original Stardust casino was built on the site in 1958 by Chicago gangster Moe Dalitz. But in the 1960s, 70s and 80s the Mob gradually handed over Las Vegas to corporate moguls like Steve Wynn and Kirk Kerkorian and the Nevada Gaming Commission cleaned up the casinos. Resorts World Las Vegas will not be the most expensive hotel in the world — that honor goes to the Abraj al-Bait in the Saudi Arabian holy city of Mecca, which cost US$15 billion to build. Nor will it have the most rooms — that record is claimed by Genting's First World Hotel in Malaysia, which has a total of 7,351 rooms. Resorts World Las Vegas will have a mere 6,583 rooms, as well as a 175,000 square foot casino, an aquarium, a theater and cinema, a bowling alley, restaurants and dozens of high-end shops. "A lot of this started with the 1989 opening of Steve Wynn's Mirage property, which launched the era of the themed megaresort. Places of fantasy and popular locales were common themes with Excalibur (a castle), Venetian (Venice), Treasure Island (pirate ship), Luxor (Egypt), Bellagio (Lake Como, Italy), Paris, and New York-New York," Mr. Velotta told Sputnik. "Not every theme worked. MGM Grand closed its MGM Grand Adventures theme park about 10 years after it opened because it flopped so miserably. A number of themes never made it past the idea stage (a resort celebrating the Titanic; another with a lunar surface theme called Moon). Every new resort offers opportunities to attract new audiences. New resorts spark interest and shift market share. 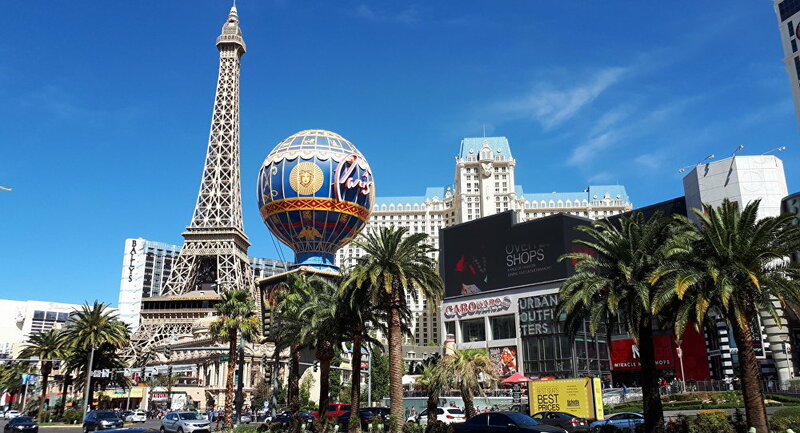 Today, there are a few projects underway: Resorts World, Wynn Resorts' tentatively named Paradise Park (a resort on a lagoon), The Drew Las Vegas (formerly Fontainebleau) and Grandissimo in downtown Las Vegas," he told Sputnik. "Las Vegas has a dramatic flair for replacing buildings, many of them via implosion. They're dramatic, big and noisy and call a lot of attention to the city," Mr. Velotta told Sputnik. "As for Nevada's next incarnation, it appears we are riding a wave of using professional sports to attract new customers. The Vegas Golden Knights are completing their first National Hockey League season in a remarkably successful way, reaching the Stanley Cup Finals. The Raiders will bring NFL football to Las Vegas in 2020, giving the city one of only 32 franchises. NASCAR added a second weekend of motor sports races next fall. A minor-league soccer franchise began play here this year. A WNBA team relocated to Las Vegas and has begun play. And, Las Vegas is still the most widely recognized location for combat sports matches in boxing and mixed-martial arts," Mr. Velotta told Sputnik. 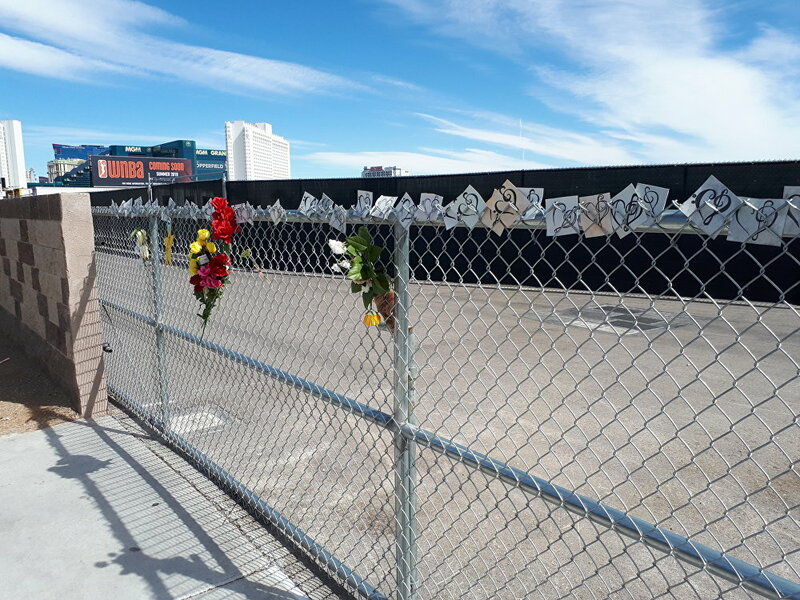 Mr. Velotta said Boyd Gaming still owned several casinos in downtown Las Vegas, as opposed to The Strip, and primarily served locals rather than tourists. "Boyd was highly leveraged on the planned Echelon project, which was envisioned as a complex of four multi-price-level hotels totalling more than 5,000 rooms with a convention center and large entertainment venue. The recession hit Boyd hard (in addition to its Nevada properties, it's a big player in regional gaming on riverboats across the Midwest, which also were crushed by the economic downturn.) Boyd's decision to sell the Echelon space was a difficult decision. It ended Boyd's presence on the Strip, but it saved the company," Mr. Velotta told Sputnik. Genting was founded in 1965 by China-born Dr. Lim Goh Tong, who named the company after the hill resort he built in Malaysia's Genting Highlands. Dr. Lim died in 2007, aged 89, and left the company in the hands of his son Lim Kok Thay, who was estimated by Forbes last month to have a net worth of US$5.8 billion. The Resorts World brand was used with the opening of a casino in New York in 2011, another in the Bahamas two years later and one in Birmingham in 2015. It also has one on Sentosa Island in Singapore, near to where US President Donald Trump is due to meet Kim Jong-un. Resorts World Las Vegas is estimated to be completed in 2020. Lim Kok Thay has also expanded the Genting brand, moving into cruiseliners, palm oil plantations in Indonesia, power stations in China and wind farms in India. It has also discovered gas in West Papua, a former Dutch colony which has been occupied by Indonesia since the 1960s.